Baylor College of Medicine, Texas Children’s Cancer Center and the Center for Cell and Gene Therapy received a $250,000 Innovation Award to support innovative immunotherapy research. Researcher Dr. Stephen Gottschalk‘s work on innovative, new treatments for child patients with cancer led to the award, granted by the Alex’s Lemonade Stand Foundation. Gottschalk, a professor of pediatrics, is working on a promising treatment using immunotherapy to treat cancer, since he believes that the failure of the body’s immune defenses against cancer is caused by its lack of ability to induce or activate immunity. Genetically modified T cells, on the other hand, have an immunotherapeutic potential to improve outcomes in childhood cancer. Gottschalk has developed a new class of tumor-specific T cells, Engager T cells, which recognize the tumor cells and redirect the bystander T cells to them. The research team was able to genetically modify the T cells in order to generate hidden bispecific T cell engagers. 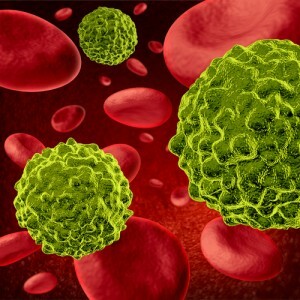 They discovered, however, that patients with cancer also hold a large amount of natural killer (NK) cells, which could be used to strike the malignant tumor cells. The current work focuses now on redirecting both the T cells and the NK cells to blood cancers. “In this innovation award we will now optimize the antitumor activity of T cells that redirect T and NK cells to tumor cells and will test them in preclinical models that closely mimic human disease,” said Gottschalk. Last year, the Alex’s Lemonade Stand Foundation awarded Gottschalk with funding, along with two other researchers from Baylor College of Medicine, Dr. Nabil Ahmed and Dr. Jason Yustein, with a $600,000 grant to fund their childhood cancer studies. The two scientists received an Innovation Award worth $250,000 and are both working in the field of immunotherapy, while Yustein was also granted a $100,000 Young Investigator Award to fund his research on metastatic osteosarcoma. These types of innovation grants are specifically designed to fund research projects on childhood cancers, and are typically given to experienced investigators such as Gottschalk. The Alex’s Lemonade Stand Foundation plans to award more than $8.5 million in grants for new medical research in 2014. Texas Children’s Cancer Center is a joint program between Baylor and Texas Children’s Hospital, and the Center for Cell and Gene Therapy is a joint program comprised of Baylor, Texas Children’s Hospital, and Houston Methodist. The American Association for Cancer Research has created a Dream Team in the field of pediatric cancer, which includes the Baylor College of Medicine’s Texas Children’s Cancer Center. The goal is to consolidate resources and share information among the best minds as they started working in the areas of Immunotherapy and Genomics.